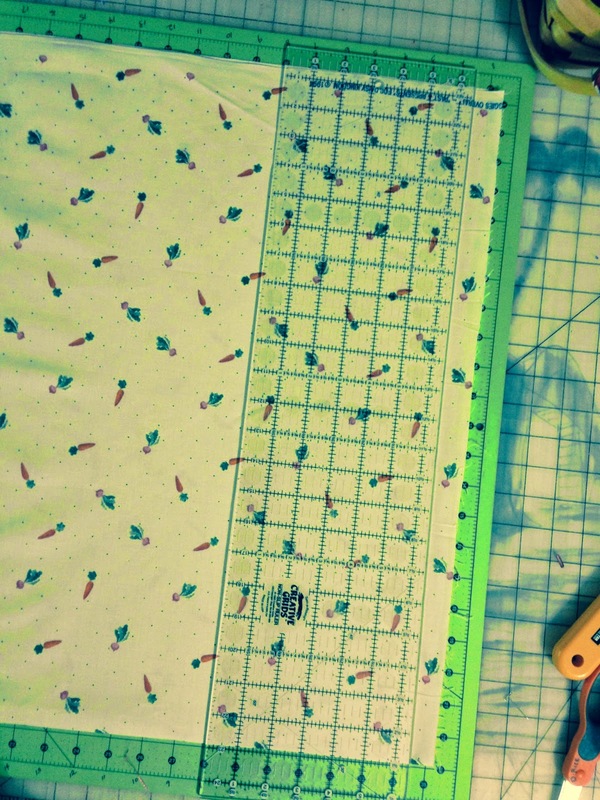 I am going to show you how I square my quilt backings. As I'm sure you know, if your backing isn't square to begin with, your quilt won't be square when it comes home from the longarm quilter. Also, let me state once again, when you bring a backing to me it needs to be at least 6-8" wider and longer than your quilt top. I'm not the quilt police so if you square your backings differently, that's okay. This is just how I do it. I really wanted to do a video but my videographer is away at college so these pictures will have to do. First let's start with wide backs. To me they are the hardest as they won't fit on a cutting mat with one cut of the the 24" ruler. The easiest way to square them is the "tear" or "rip" them. Some people aren't a fan of this but if you truly want a square backing with the straight of grain of the fabric, this is the only way I know to do it. Make a small snip in the selvage (factory finished edge) and begin to tear. 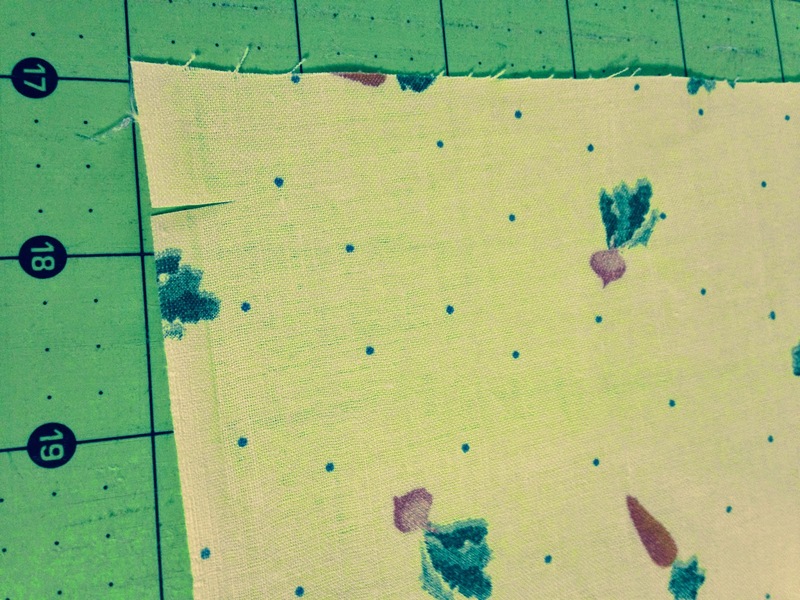 If you run out of fabric to tear before you get to the opposite selvage side, start again. Make another small snip about an inch in from the previous one and tear again. 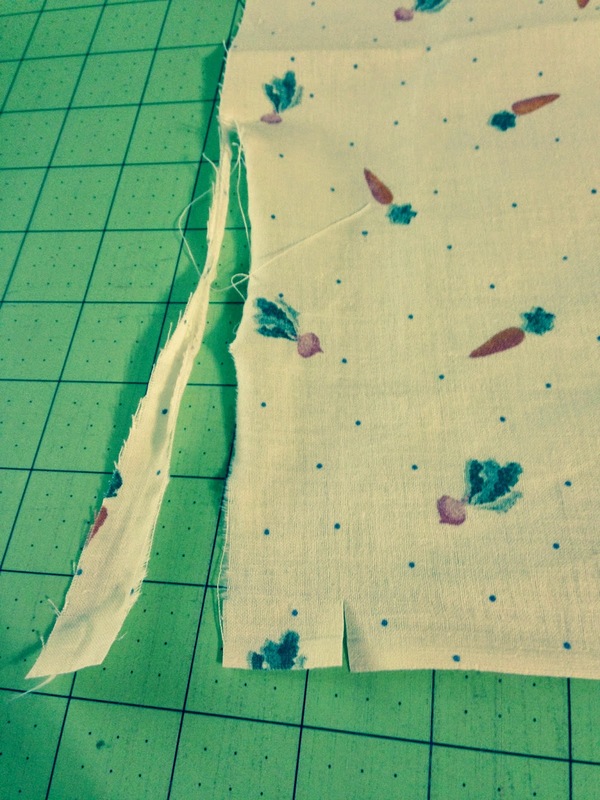 Sometimes it will take two or three attempts for you can tear to the opposite selvage. This is what a wide backing looks like after it's torn. It doesn't look too even but trust me on this. 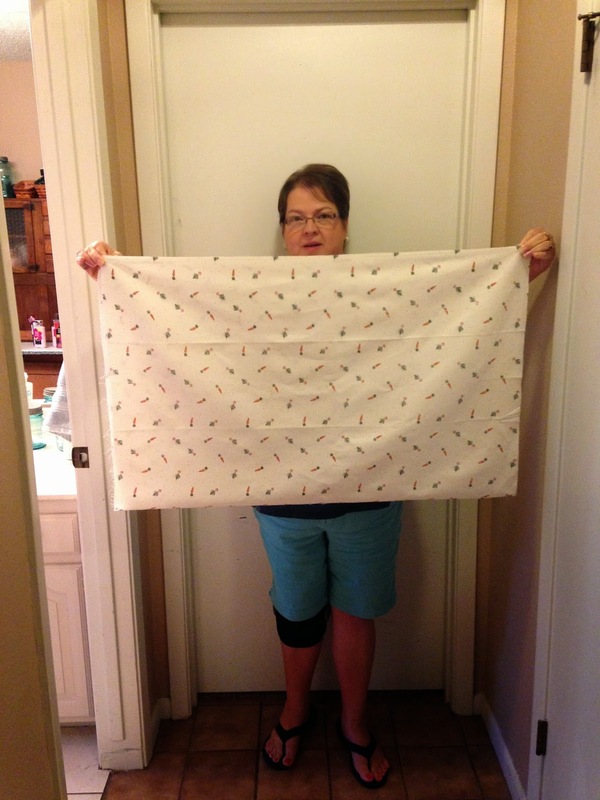 Once it's laundered (before you take it to the longarm quilter), it will be square. 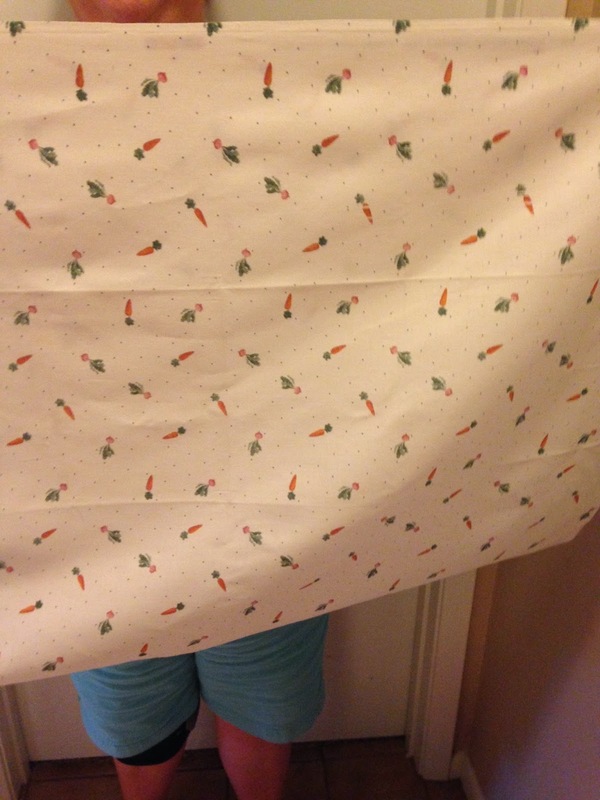 As you can see from the picture above and below, sometimes there is quite a difference in the edges so therefore you will need to purchase at least 1/8 to 1/4 yard more than you think you need for the backing to square it. 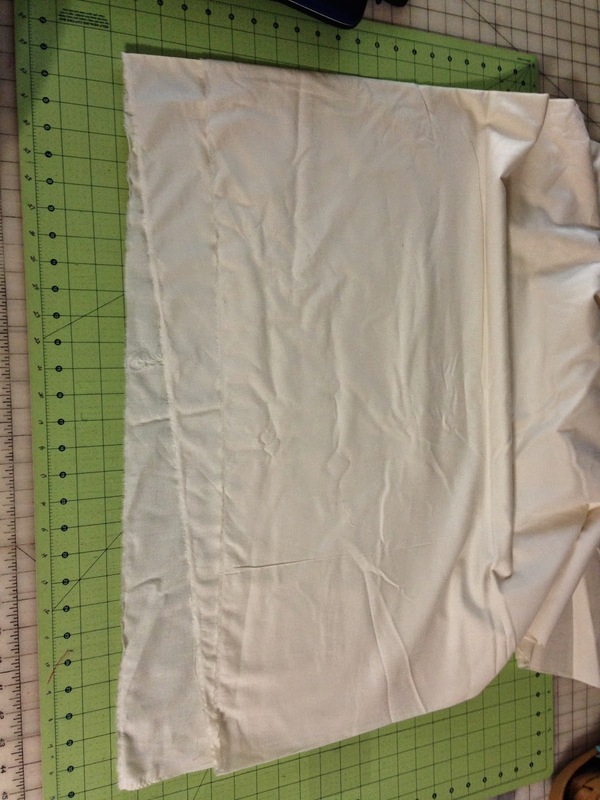 Here is an example below that shows you the selvage edges are even but there is a wrinkle. 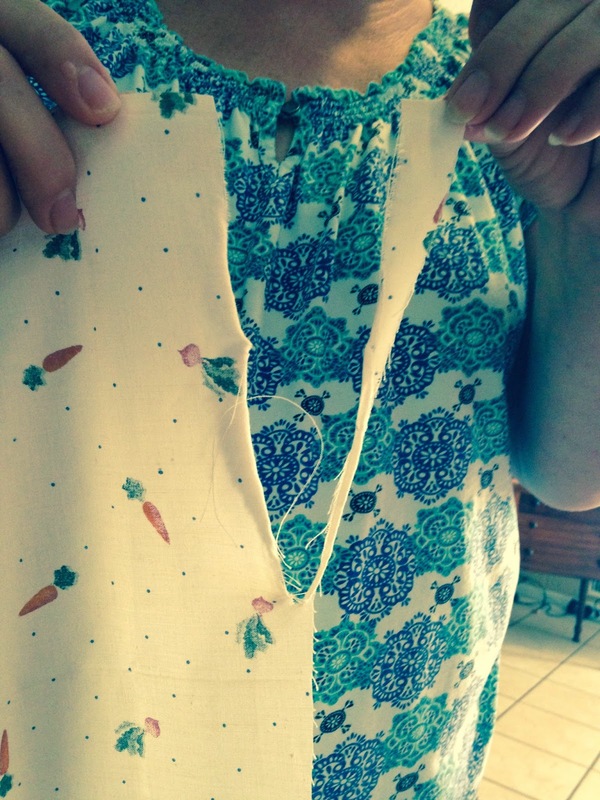 Slide the top layer one way or the other to remove that wrinkle, keeping the selvages edges even with each other. Here's a close up below of how the wrinkle looks. You DON'T want any wrinkles. Not even a slight one! 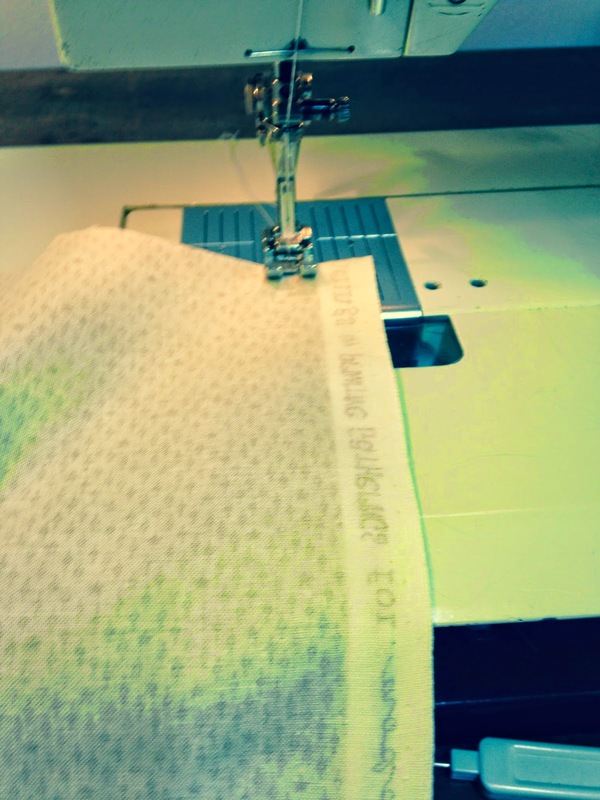 Once the fabric is flat with no wrinkles, lay it on the cutting mat and line up the selvage edge with a straight line on the mat. 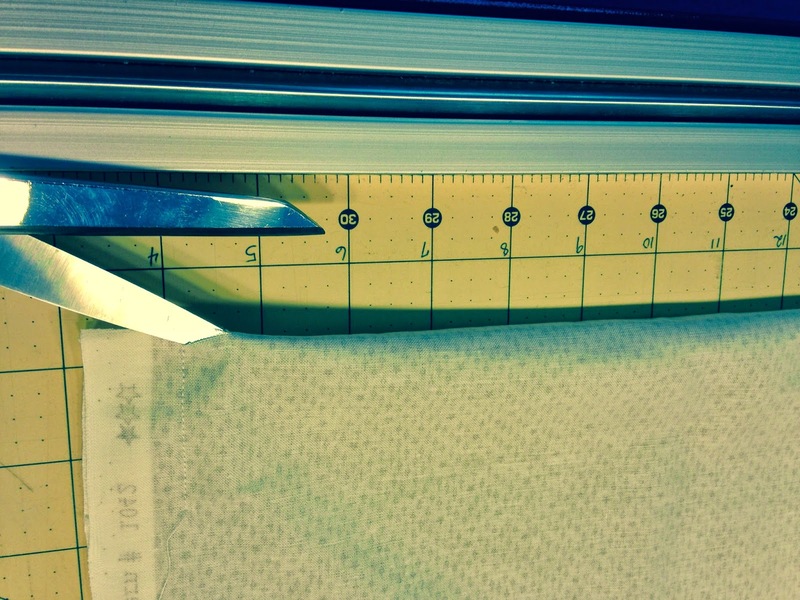 Using your ruler and rotary cutter, cut it off even. Do this to both ends so they are both square. 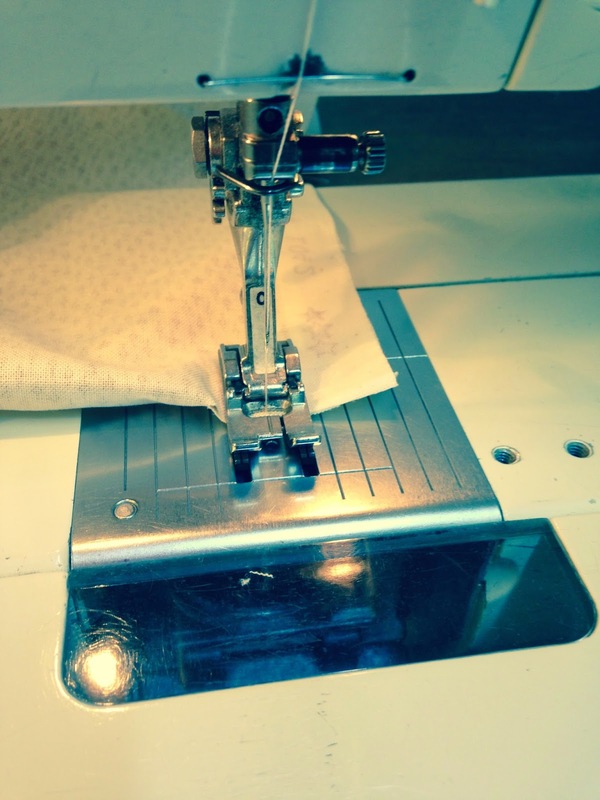 If you need to piece two pieces together, you must be consistent with your method of squaring before you sew them together. In other words, you can't tear one end and rotary cut the other. You will have a whopper-jawed piece of backing that isn't square. 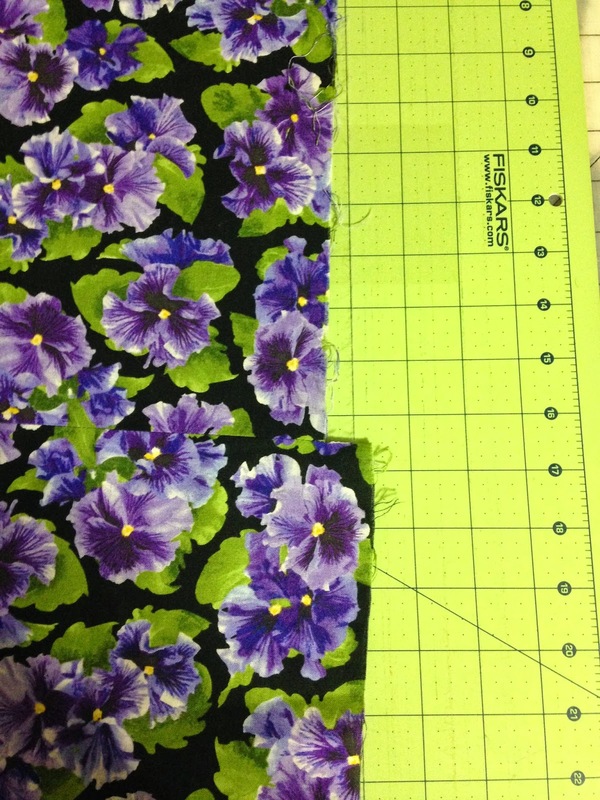 If I'm piecing two widths of fabric together for the backing and it isn't directional, I like to leave it all one piece, bring the opposite ends together and then I sew down the selvage edge, making sure that my 1/4" is well within the selvage. Sometimes my seam is 3/4" to 1" wide. 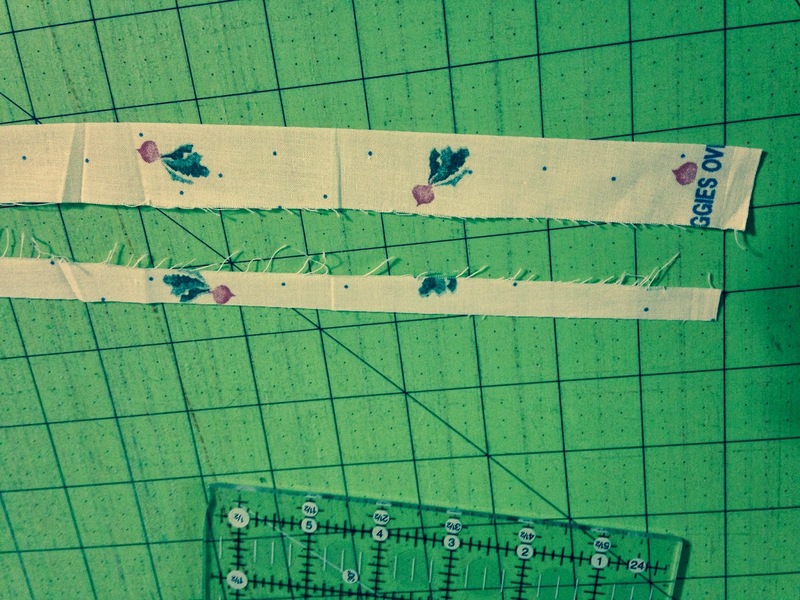 After I'm through sewing, I trim the selvage off of the seam I just sewed to 1/4" seam allowance. When you get to the end, you will have a folded edge. I stop about 2" from the folded edge, slide my scissors in and cut on the on the fold about 2" in and finish sewing the seam. 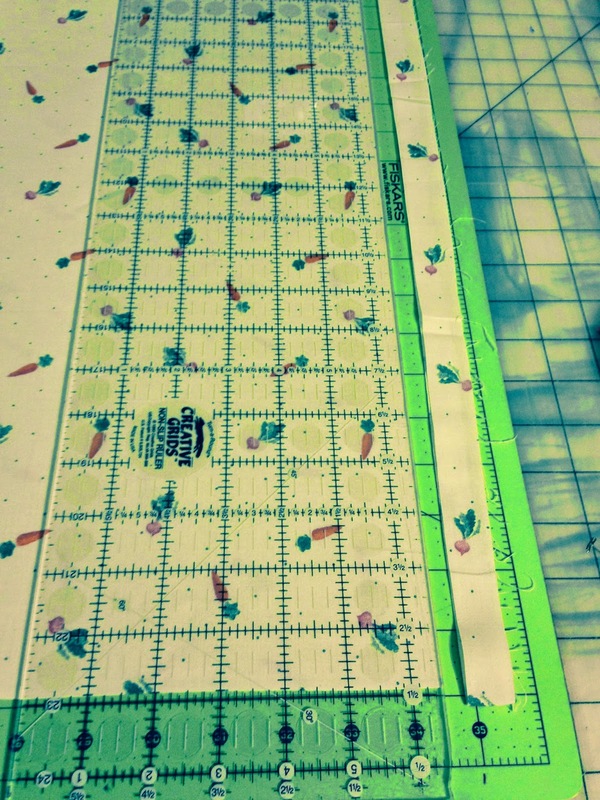 I then take the backing and lay out flat on my cutting mat and slide my scissors back in on the slit I made in the fold and finish cutting it all the way across. If you don't leave it one piece and cut two separate pieces and sew them together. When you get to the bottom and they are the exact same length, you will need to square the longer side off even with the shorter side. 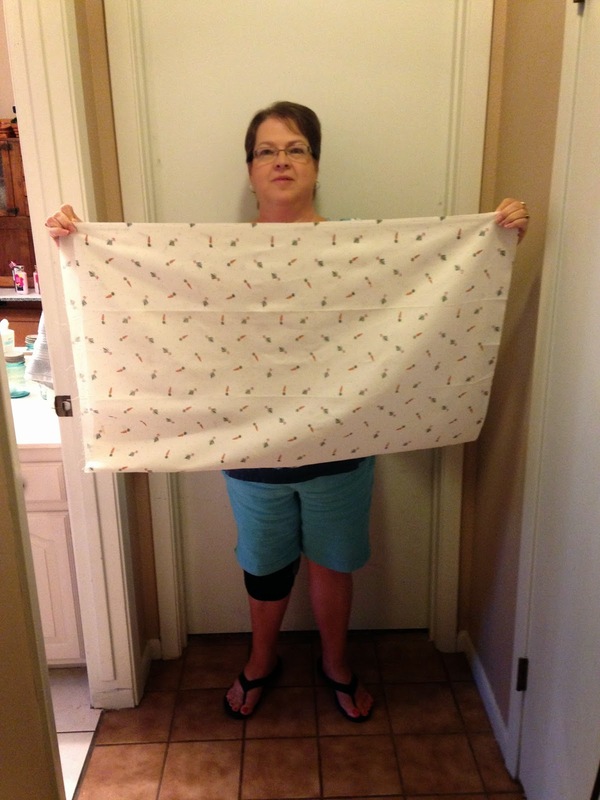 If you bring me a backing sewn together and it looks like this, it ISN'T SQUARE! I hope the instructions I have given you make sense and I hope it helps you have square quilt backings. 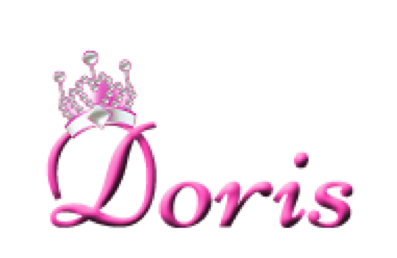 If you have any questions, please don't hesitate to give me a call or contact me. I'll be glad to demo in person if you're close or walk you through it on the phone. Doris, I'm getting ready to do a backing. No one had ever suggested method 2 before. I will have to give that a try!! Darlene, you're a no-reply blogger. I would love to send you a personal reply but I can't. Good luck with method 2 and let me know how it goes and whether you like it.